vernacular | owl's house london. The first thing that struck me about this building was the beautifully proportioned front facade (read my take on composition, here); next, the stratified brickwork – thin linear strips graduating to larger brick sections as the eye travels up the building. Located in an historical centre but lacking any character of its own, this house also faces the challenge of its narrowness, a 6.5m width. To resolve the problem of getting light in, a series of outdoor spaces create a transition between the rooms, thus becoming rooms themselves. Privacy, solar gain, ventilation and light are all addressed and resolved in one fell swoop. 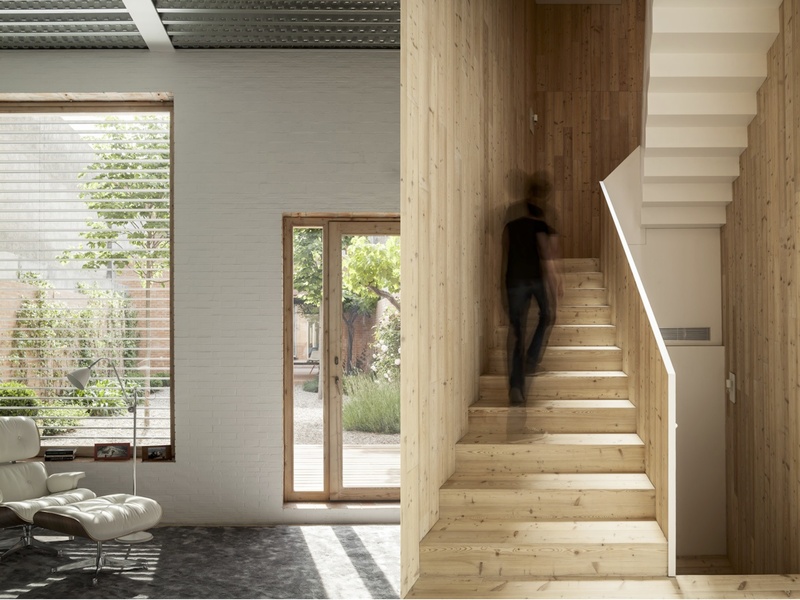 The sequence of spaces also creates a lovely ambiguity about what is an interior and what is an exterior space. Because the colour and rhythm of the exterior masonry is visible from within, the interior walls are painted white, with just the window reveals left raw. 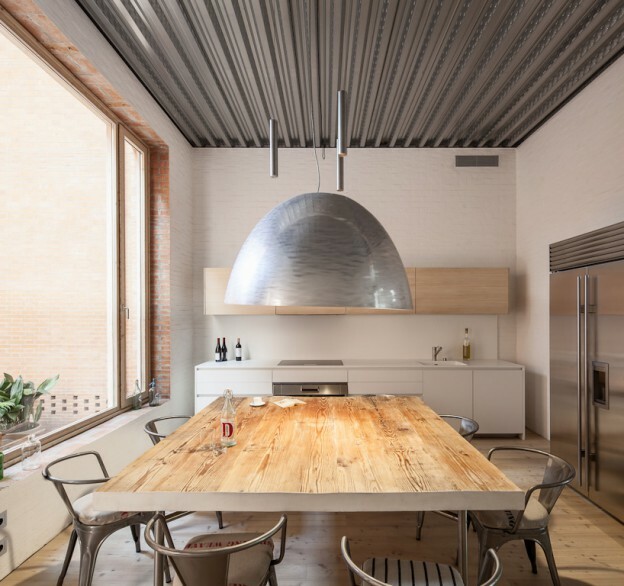 There are simple, pale wood floorboards and an exposed (but beautifully detailed) metal ceiling. 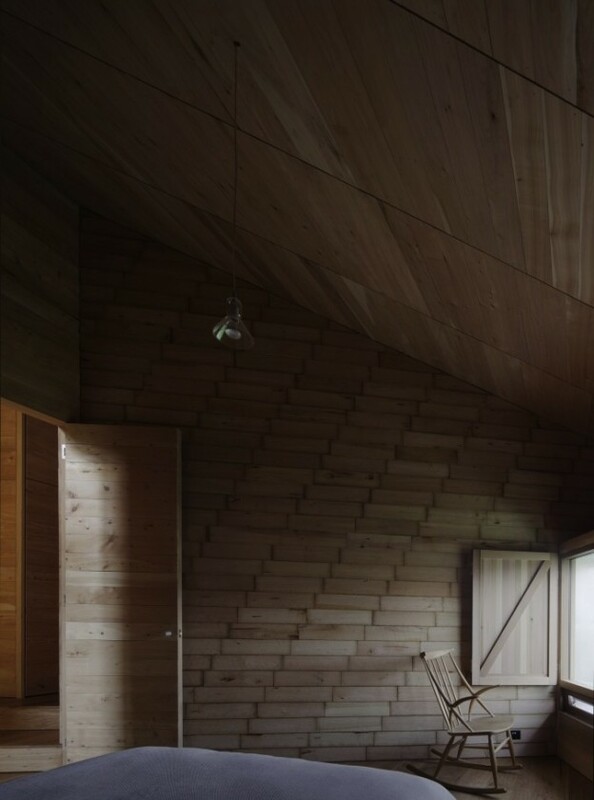 Sometimes, the materials are reversed, and the ceiling or walls are lined with wood. 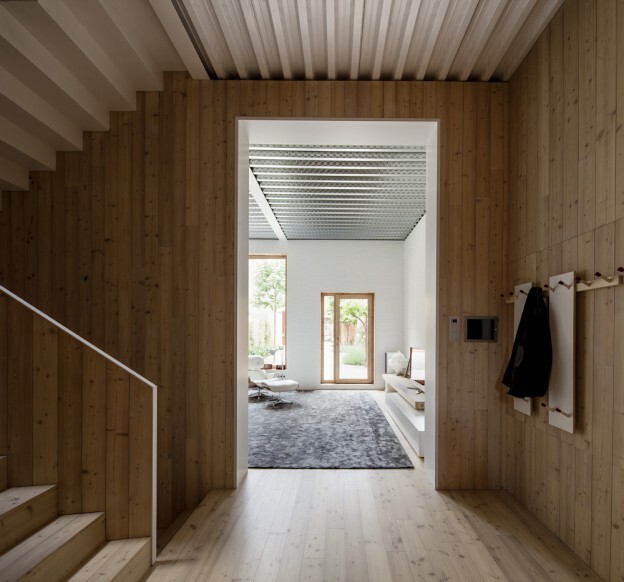 The zig zag line of the stair soffit plays against the pattern of the metal ribbed ceiling as it rises up, as well as the rhythm of the wood planks. 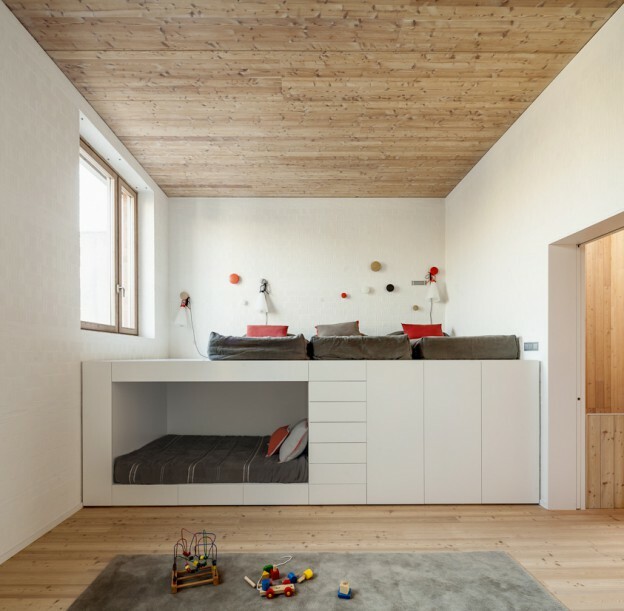 A kid’s room contains a single piece of furniture serving all necessary functions – sleeping, reading and storage. Perfectly proportioned on the outside, simply and beautifully detailed within. This entry was posted in wonderful spaces. 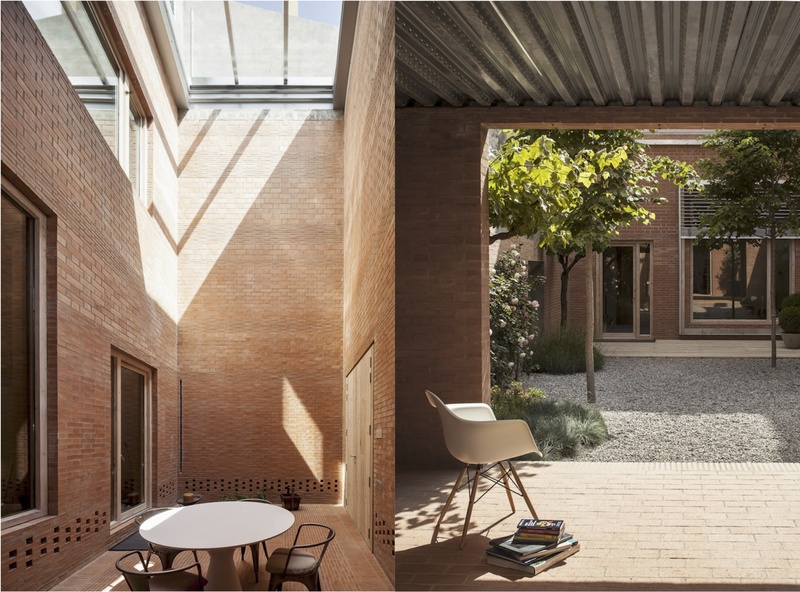 and tagged architecture, composition, design, H Arquitectes, vernacular on January 26, 2015 by owls house london.. Vernacular architecture has always fascinated me – a building that is perfectly allied to its landscape, is contextual, and serves its end use with maximum function and purpose. This building appears to follow that philosophy and then some..
Shearers Quarters house sits as a companion building to an existing historic cottage on a working sheep farm, on an island off the Tasmanian coast. Not your average brief – it was designed to house shearers, family and friends on annual tree planting weekends and retreats. It comprises an open-plan living/dining/kitchen, bathroom and utility, two bedrooms and a bunkroom. A slender skillion roof at one end transforms to a broad gable at the other, opening up the form to the wonderful views beyond. The geometry of this shift is evident internally in the geometry of the internal walls and window frames. 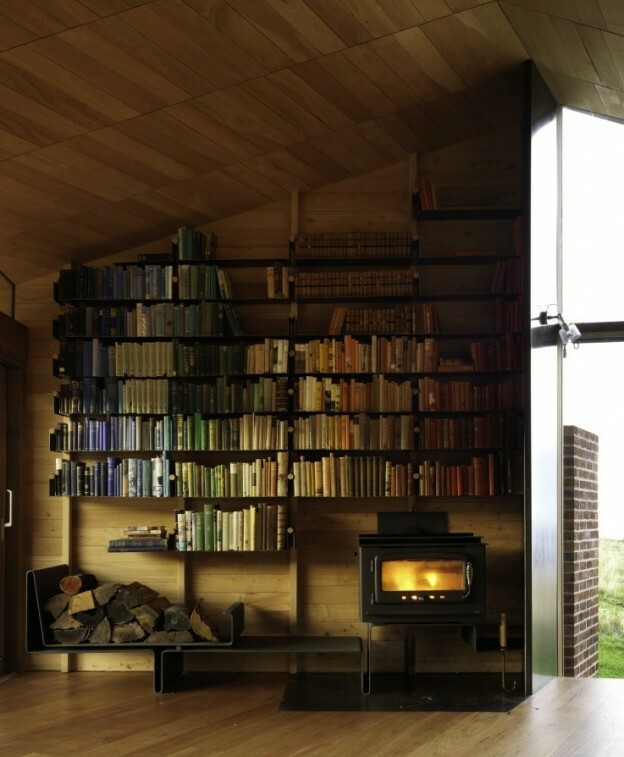 The simplest palette of materials has been used: corrugated galvanised iron to the exterior, timber internally. Pinus Macrocarpa is the primary timber used, sourced from old rural windbreaks. 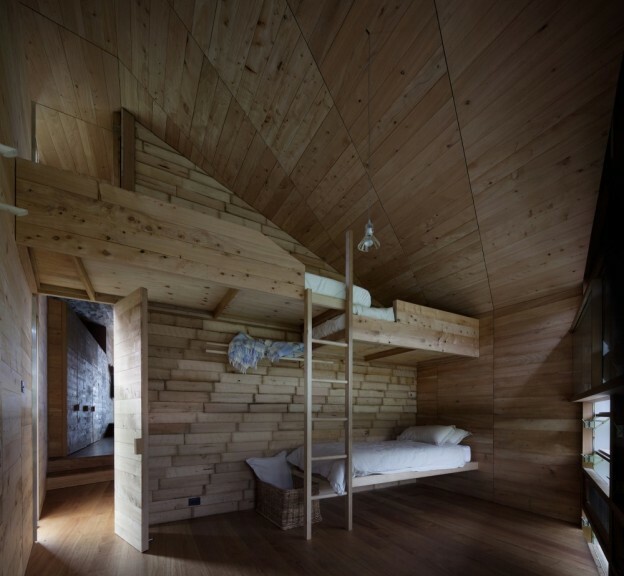 The bedrooms are lined out in recycled applebox crates, gathered from orchards of a nearby valley where the timber had remained stacked but unused since the late 1960s. This rhythm of small, regular pieces of wood becomes the decoration. 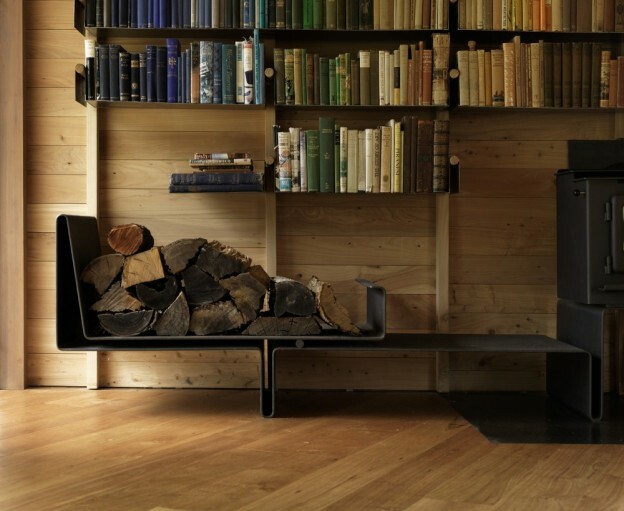 Metal is also used folded to form shelves to store logs, and to create a wall of books. This entry was posted in wonderful spaces. 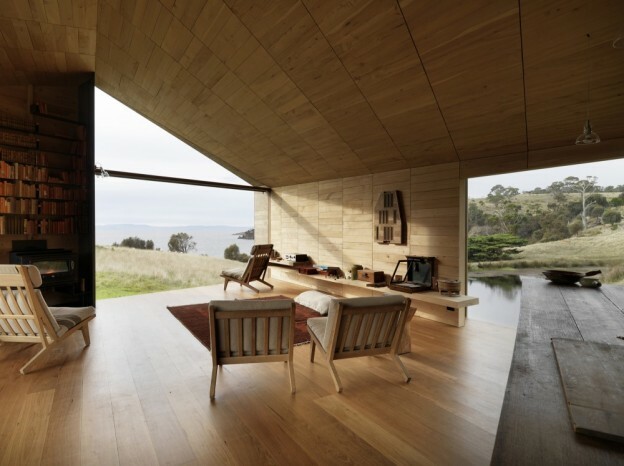 and tagged architecture, design, interiors, John Wardle Architects, shearers quarters, vernacular on July 8, 2013 by owls house london..